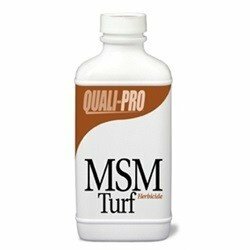 MSM 60DF Turf Manor Herbicide from Quali-Pro (compare to Manor Herbicide) contains Metsulfuron Methyl and is used to control of virginia buttonweed and other broadleaf weeds in southern turf grasses. MSM Manor Herbicide has a very low mix rate making it one of the most economical herbicides for broadleaf weed control. Quali-Pro MSM Turf herbicide is intended for use on southern ornamental turf in lawns, parks, cemeteries, golf courses, and sod farms. Only use on Bluegrass, Bermudagrass, and St. Augustine grasses. If you have any questions about this product by Quali-Pro, contact us by completing and submitting the form below. If you are looking for a specif part number, please include it with your message. Preen Southern Weed Preventer, 4.25 lb bottle, Covers 1,000 Sq. Ft.
BioSafe Weed Control Concentrate - 1 Gallon - Non-Selective Herbicidal Soap - Weed Killer - OMRI Listed - Organic - EPA Registered. Safe for People, Pets and the Environment.